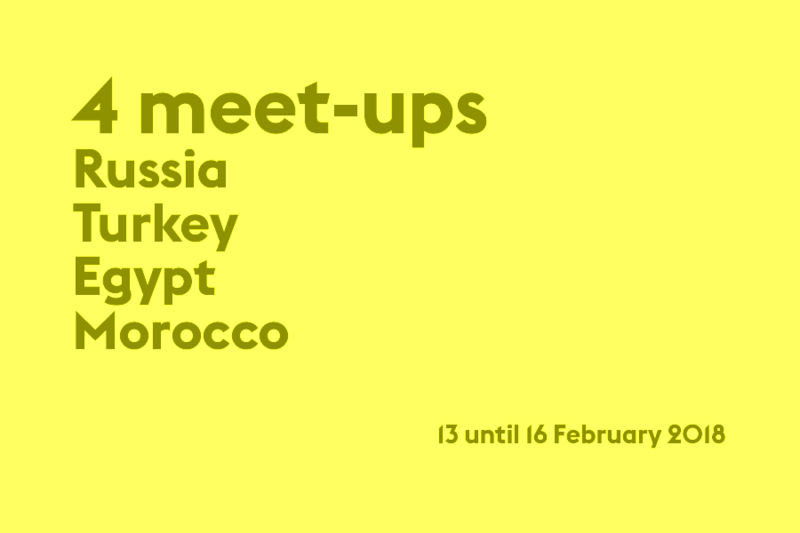 From 13 to 16 February the Fund is organizing a series of four meet-ups relating to the open calls that focus on Russia, Turkey, Egypt and Morocco. During the meet-ups, an expert from the country in question will give a talk to provide inspiration. The aim is to exchange knowledge and experience. It is also possible to ask Fund staff questions about the open calls. By means of four open calls, the Creative Industries Fund NL invites Dutch designers and cultural organizations to submit a plan for a project, intervention or process that deploys design for sustainable and inclusive urbanization in one of the four countries. Vera Leonova shares her vision on the role of advocacy planning in urban development in Russia. She describes a number of urban issues, the background to these issues and the effects on communities. Serhan Ada describes the opportunities for interdisciplinary collaboration in contemporary Turkey. With examples of initiatives by designers, artists' collectives, municipalities and inhabitants in cities such as Istanbul, Izmir and Mardin, he discusses how they influence cultural policy in Turkey and vice versa. May Al-lbrashy observes that design as a driver for social development is a growing trend in Egypt. Rapid urbanization is challenging designers to develop strategies and tactics for survival, but also to achieve new forms of collaboration. Amina Mourid and Hicham Bouzid provide an introduction to Tanger and the way the city distinguishes itself from other Moroccan cities. They give their vision on how the city can be critically questioned from various perspectives such as design, social design and the bringing together of different parties. Language: English. Moderator: Mechtild van den Hombergh and Thijs Barendse. The meet-ups are being held in the HipHopHuis, Delftsestraat 19A (entrance via Delftsehof) in Rotterdam. You are cordially invited to attend one or more of the meet-ups. Please ensure that we receive your RSVP by e-mail by 9 February at the latest via [email protected] specifying the meet-up you would like to attend and please state your name and organization in your message.